to recognitions: such dogs in the dark noonday! Where the moods advance toward the modes. Unstrung, the structure is sound. I begin with “Mazed Interior” because the interplay of sounds and meanings in Joron’s poem – the resonant shift from “told” to “tolled,” “the knot” before “the Not,” the mechanisms of individual recognitions advancing toward utterance, moods molding into modes – opens up a space to hear Jackson Mac Low, his “simultaneities,” his “word event,” and, with Mac Low, approach the architectonics of noise his works make audible. Unstrung, the structure is sound. Here, one comes to sound as noun, sonus, an utterance, but one “unstrung,” sent forth to reflect, refract, echo and overlap, from all and in all directions, amid an architecture, within the ear. It is a structured, yet fugitive sound – as Edison termed it listening to his new invention, that captivator of noise, the phonograph.2 There, too, is another sense of sound: sound as adjective, from the Old English-Germanic gesund, health or healthiness, free from defect, as in of sound mind, sensible, sound judgment, of substantial or enduring character, as in: this unstrung structure, as such, will hold, shall persist. It is from within these protean constructions of sound and sense that I want to begin this listening of Mac Low’s 1971 performance at Sir George Williams University (SGWU) in Montreal. The earliest recording of a performance presently available by the American poet, composer, and multimedia performance artist, the 1971 phonotext presents an entirely undocumented mode of Mac Lowian composition. No other recording of Mac Low captures the breadth of his compositions from the mid-1950s through to the early 1970s, and no other presents his extensive use of phonotextual materials in performance. In this essay, I trace out these undocumented aspects of Mac Low’s phonopoetics through a close listening of the performance that always keeps in mind the wider contexts in and through which these compositions make noise. Here, I pursue the ways in which Mac Low’s sonic architectures resonate aspects of his moment’s soundscape – of the Vietnam War, counter-cultures, mass protests and mass media – as he performs a “critical remixing”3 of his own personal archive of sounds. These considerations of Mac Low’s textual production provide the ground for the sonic dimensions of his compositional practice that I will consider in detail. Mac Low, as much as any other North American poet of the latter half of the 20th century, deserves such a close listening. If anything, his unique sense of composition has always invited this participation, this kind of listening. In what follows, I heed Mac Low’s admonition and listen to the phonotext of his 1971 reading in Montreal. In doing so, I am interested in how the actual sounds that Mac Low orchestrated in performance, and the many contexts these sounds intone, allow for a richer understanding of the polyvalent systems of poetry he produced. My listening is guided by several questions: What does one gain, critically, by focusing on the sounds themselves in performance as opposed to the sounds as notated by the score for performance, or how might one best navigate both the performance and the score in relation to one another? What are the forms of listening involved in such a project? How and when does the object of criticism shift from the sounds to the performers to the spaces of performance to the technologies to the storage and transmission of the media? Where does the Mac Low performance end and the performance of the media begin, or, how are these always already integrated in the special case of Mac Low? In beginning to address these questions, I will transition from the ecological and architectural metaphors Bernstein and Aji take up in describing his works to the conceptualization of a soundscape and “aural construct” (to use Mac Low’s term) that he produces in his works. Here, I am particularly interested in how Mac Low orchestrates his own phonotexts to be collaborators in performance. Listening in detail, I discuss a number of things one might generally consider to be marginal to the works – introductions, conversations, interruptions, non-lexical moments, technological failures. I hear out how Mac Low organizes, and experiments within, particular sonic textures. Finally, I consider what implications this activity might have for developing an array of phonocritical practices today, ones that address the “continuous embarrassment” that Tsur notes above. In 1971, along with Mac Low, the series hosted Charles Simic, David McFadden, Gerry Gilbert, Dorothy Livesay, Gary Snyder, and Kenneth Koch. Of the recordings of this set of readings, Mac Low’s is unique in terms of its duration and the texture of its sounds. His reading is the only one that has no introduction. No person prefaces his performance with biographical information or publication history or personal anecdote. At 120 minutes long, the recording of his performance is the longest by far in comparison with the others from the series. Most readings during that year lasted around 45 minutes, though both Koch and Snyder gave extended readings, each around 90 minutes long. Finally, the Mac Low performance is the only one that has multiple readers performing at the same time, and no other reading involves instruments or reel-to-reel players as part of the performance. “Vowels of delicious clarity for the little red schoolhouse of our mouth.” This singularly voiced poem of a commonly constructed syntax, of phrases kept in tension by a series of line breaks that are vocalized by specific pausing, uttered by an I who is presumed to apply to the I of the page-poem and the I of the speaker, read aloud following the poem’s progression as printed upon the page, this is exactly what we will not find in Mac Low’s reading. (This is to say nothing, for now, of the poem’s content.) Simic’s reading is a fine example of an approach to the poetry reading, as Peter Middleton describes, in which the textual meaning of the poem remains fundamentally unchanged in the reading and performance of the poem.17 On a sonic level, all of the paratextual comments and sounds remain distinct from the poems that Simic reads. Notice how pronounced the tone of the room is as separate from the atmosphere of the poem read: the door opening and closing as Simic begins to speak, the muted but constant shuffling of paper pages across the lectern, the closeness of Simic’s breath and the burst of each B-sound he speaks into the microphone, and the small stirs of sound that mark the audience’s shifting attentiveness. These noises register as distinctly other, discrete from the phonemes that are part of Simic’s poem. In these details, Simic’s reading is exemplary when compared to the rest of the 1971 readings. It is markedly different from the sounded space that Mac Low produces in his reading. Mac Low describes the original text of this composition as “a piece produced by subjecting the electric typewriter keyboard to randomization by random numbers, so it looks like a lot of different characters from the electric typewriter.” Mac Low has instructed the performers of the poem to read from it “any way they wish.” The poem begins with the noise of the tape accelerating in its player – fast-forwarding or rewinding – as though that tape were the ribbon of a typewriter gone wild, mechanically spitting its characters all over the room. In doing so, the piece in no way tries to cover up or make transparent the various layers of amplificatory or recording technologies that are involved in the reading. Sonically, it’s as if Mac Low has gone into Simic’s “little red schoolhouse” of the mouth with a jackhammer to bust up the infrastructure of the ideological apparatus that is the articulating chamber of the unified subject. In creating collaborative pieces that are structured for improvisation with members of the audience, Mac Low already emphasizes this intersubjective relationship in the time and space of the performance, radically so when compared to the example of Simic. Yet, he also extends that intersubjective experience temporally and spatially to other sites. Other performances, other performers, and other audiences are all sonically present, resonant in the Montreal performance of the poem. At the conceptual intersection of this intersubjective practice and Mac Low’s idea of “an aural construction,” it seems apt to note Bernstein’s statement that Mac Low was more interested in “building structures than in inhabiting them (leaving, that is, the inhabitation to performances – his or ours).”24 For Mac Low, this inhabitation of the poem takes place in the collective production of an aural – which is to say social – space, in its sounding. Again, following no introduction, no preamble, Mac Low begins his reading with a first tone into a lulling. His wood flute – the bamboo of a bansuri or possibly that of a shakuhachi – makes audible some past pastoral place, one across which this melody might have carried a distance. Then that lull accelerates into an audiotape’s hiss. “Glass Buildings,” spoken mechanically: it is difficult to discern, due to slight distortion, if this is Mac Low speaking into a microphone or a recording of his voice. “WHEN FIERY WATER THIRDS FLAUNT SOLAR FUSION.” With these first words, that pastoral past’s imagining of a future apocalypse becomes fused to the moment’s nuclear fears. Then: no big bang, but, instead, the lull of the wood flute, its melody moving in and out of each syllable’s pitch. Any line between what is uttered, embodied sound and what is timed instrumental manipulation – of the wood flute and/or the tape players – becomes blurred. Only those there could know, potentially. With this poem – “a calligramme & an attempt at expression by means of multiple ambiguity where all possible meanings are ‘meant’ by the poet”25 – a system of words extends through the soundspace, synched in a palimpsest, a palimtext of noise. The mechanical clanking undergirding “Glass Buildings” continues into the next poem, one of Mac Low’s “5 biblical poems.” If one were not already familiar with the works, though, it would be difficult to discern any specific shift from poem to poem. There is no distinct audible sign to mark the shift into another poem, as one is generally used to hearing at a poetry reading. Mac Low offers no paratextual speech as segue. At a certain point he stops one reel-to-reel player – the thick click of it shutting off is audible – as another, probably several, begin(s) to play. Mac Low’s voice announces a set of numbers: 5, 2, 3, and the numbers continue. As those phonemes emerge, another voice – also Mac Low’s – overlaps and obscures this progression. There is a faint trace of a narrative here – the story of the inhabitation of Palestine by the Israelites, from Gideon’s defeat of the Midianite nomads through to the birth of the future king Samuel – but it is a narrative with great gaping holes for the reader/performer to respond to with an action, or a sound, or a silence. In producing a new text from this particular seed-text, Mac Low foregrounds the historically dynamic qualities of the Hebrew scriptures – its edits, insertions and erasures across centuries. This textual dynamicism and variabilty has a sonic counterpart in that no performance of the text is ever repeatable as performance. Of course, no performance can ever be replicated – the temporal and spatial conditions are always different – yet the high degree of likeness between textual performance of the language upon the page and the vocalic performance of the poem’s language emerging from the poet’s mouth, of which the Simic poem above is but one example, is typical of the poetry reading. Mac Low accentuates the contingency of a poem’s performance in this case by adding additional readers and by including the various recordings of him performing different versions of the same text. Mac Low is playing with at least two reel-to-reel players here, and there may be two additional ones playing if the metallic clanking and the wood flute are on separate players. He begins to play the recordings at different times, and each recording starts at a different section of the poem. Additionally, Mac Low’s own reading and the recordings of him reading each have different pacings: the same word may be held longer or shorter in one version than another, and the length of the pause is decided upon by the individual reader while reading. What emerges from this asynchronicity of layers is, indeed, a “syllable poem.” With the narrative progression of the seed-text reinscribed as a schematic of individual words and pauses, the poem shapes a sound structure assembled from the array of fragmented utterances (from one to a few syllables) and (Cagean) “silences.” Even the unit of the single polysyllabic word gets broken up into smaller particles as other voices and other sounds overlap to produce a different total sound in performance. Listen, as but one example, to the word “twenty” at :50 into the recording: the overlap of “look” over the “twen-” and the mechanical clank immediately following the “-ty” produce two separate vocalic chords in which the two syllables of “twenty” resound in part. Note, too, how this instance of “twenty” sounds nothing at all like the word as it is uttered several other times during the poem. This difference is worth emphasizing simply because the structural indeterminacy that Mac Low engineers into his works extends through all the collective spatial and temporal constructs of the work, right down to its simplest elements, the syllable and the phoneme. Then the tapes stop. From the din of the previous several minutes still present in the moment’s disquiet, a single voice emerges. From the pastoral landscape evoked in “Glass Buildings” to the pastoral society of the Israelites embedded in the “biblical poem,” Mac Low shifts the aural atmosphere of his reading to a new terrain: the Sheep Meadow of New York’s Central Park. One arrives at this space not just at any moment, but a particular one – as Mac Low announces in the poem’s title – around noon, on the 15th of April, 1967. 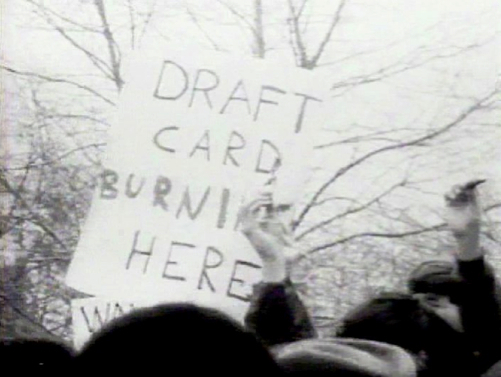 It is the day and specific location of the first large-scale burning of individual draft cards by resisters. Exactly at the moment when an expansive atmospheric noise of numerous voices, one matched with musical instrumentation, might fit the form and content of a protest setting, Mac Low dramatically alters the sounded space of his performance. In “On the Glorious Burning of the Stars and Stripes,” a single speaker apostrophically attests in direct emotive speech what he witnesses: a scene of dissent that overwhelms him with its beauty. Mac Low declaims “How beautiful,” and repeats it several times – “How beautiful,” “How beautiful” – regarding the great mass of people gathered together and, amid them, “burning in the April breeze,” the US flag, “those bloody stripes that once meant freedom.” In the poem’s address, in its Ginsbergian use of anaphora, its language play on the metaphors of “sheep,” “peace,” “sea,” and its intentional manipulation of a symbolic language rooted in an historic US nationalism, this is the only time during the reading that Mac Low reads a text that one might easily recognize or categorize as a “poem.” It comes at a hinge moment in the overall reading. With “Glass Buildings” and the “biblical poem,” Mac Low constructed a temporally and spatially expansive soundscape out of which, for a moment, the voice of the individual poet emerges. Just as that individual voice comes into fruition, as it takes form, a din returns, a multitude of voices resumes its hub-bub. The poet returns to the common space – in this instance, importantly, one of dissent – that is the subject of this poem. From this point of departure, the poet continues to experiment with alternative configurations and expressions that will not only construct new poems, but also new modes of interaction within them. Mac Low’s “Word Event for George Brecht” is the transitional work that shifts the soundspace of the performance from an individual voice to a polyphony of voices. In the poem’s dedication to the Fluxus composer of evental scores, one is again reminded that Mac Low’s poetic compositions are in direct conversation with the works of New York City’s avant-garde music scene of the 1950s and 60s. 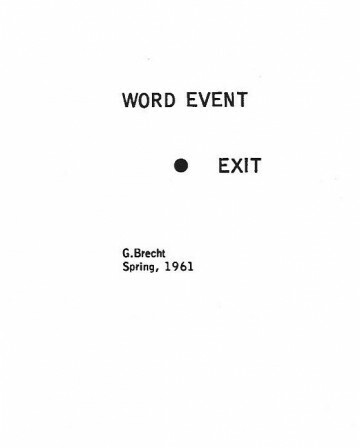 Brecht’s own “Word Event” – a single page score upon which the only proposed action is “EXIT” – is a disquieting counterexample to the noise Mac Low summons in his own “Word Event.” In Brecht’s event, performers are implored to find some way out, to escape the time and space of performance. As Miller notes of the poem’s instructions for performance, “the performer has the choice to determine the emotional tone and rhetorical pitch of this a-semantic poem.”32 This performance technique begins an exploration of language that Mac Low would employ in a number of works he would compose after “Word Event,” some of which are included in this performance. 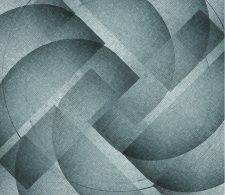 The poems from the “Asymmetries,” “Gathas,” and “Vocabularies” series each explore in their own way this kind of phonemic dispersion, textually and performatively. Again, for Mac Low, these “aural constructions” were opportunities for people to come together and experiment with how to speak and act differently with one another. He hoped that, as micro-social experiments, they might “change the ways that people use and perceive language,”33 therefore helping to chart out other possible forms of relations and mutual existence. I’d like to examine the next cluster of poems collectively, pausing on a few specific moments in the progression. Except for the initial sections from Stanzas, each one of these poems involves a number of performers in collaboration, involving somewhere between seven to ten performers. 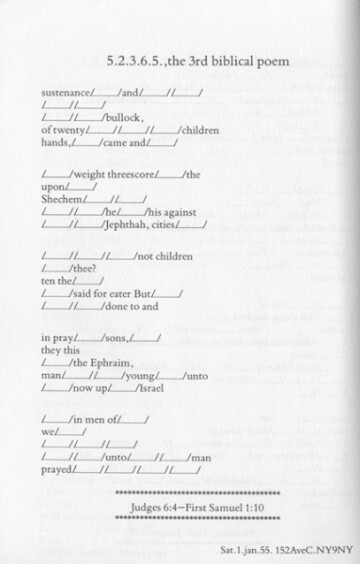 (It is worth noting that in introducing the initial section of Stanzas, Mac Low regards performing with the recording devices as a kind of collaboration, stating: “I’ll first read a short group solo and then read one in a duet with an earlier performance of it.”) Though these poems all have quite different textual layouts on the printed page, each one is scored in a particular way for individual performers to make the choice exactly when and what and how they will utter from the page-score during performance. To offer examples of the variety of textual design and materiality of these poems: “Asymmetries” is a work compiled from a series of 501 single-page performance pieces Mac Low wrote in the early 1960s; the early excerpts from Stanzas appear as though they were conventional prose poems; the typewriter “simultaneity” seems to have been written on various pieces of paper that the performers passed between each other; and the “Fifth Gatha” was composed on graph paper with each individual grid designating a letter or a blank space. Again, all of the poems – except for that initial section from Stanzas that Mac Low performs “solo” – involve the use of previously recorded materials delivered via audiotape players. Each poem, except for the final poem “The,” performs a specific act upon a seed-text that breaks the text up into individual letters, combinations of letters, discrete words, and particularized phrases. Finally, for all but the initial sections of Stanzas, Mac Low has designed each poem to be primarily a score for performance, though each is significant in a number of ways as a page-text in and of itself. On a sonic level, any sounds – whatever noises – function as a part of these poems; they are included. The sounds become integrated into the site of the performance and they are also inscribed upon the (archival) chain of phonotexts and performances that follow. Mac Low has engineered all of these sounds and the possibility of all future sounds into the systems of the compositions. 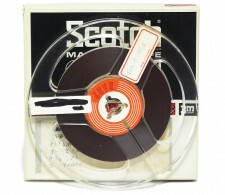 All the sounding bodies – human and non-human – play a role: the person who composed the poem and the people who perform it; the audience members who respond in some way, say, by their whispered comments or by moving their bodies however slightly or entering and exiting the room; the amplification system and its odd buzzing or moments of feedback; the tape recorders and the din of their fast-forwarding and reversing, their buttons clunking on and off; the architecture of the space itself and how it might reverberate such sounds and the heating pipes clanking or a window that is opened or closed; even the sounds from outside the window or beyond the doors – the overheard excerpts of talk between passers-by, the cars on the streets, the truck backing up or siren passing – they are always already incorporated into the sound structure of the poems. Mac Low has designed his sonic architectures to accommodate and to incorporate in advance of their occurrence such accidents and ambiences. Are these sounds actually produced in the midst of Mac Low’s reading? Is Mac Low making them? Is this an example of Mac Low mimetically playing back the sounds of his particular media ecology by including a radio test in the transition from one poem to another? Or is it an error? Does Mac Low accidentally press the wrong set of buttons on his reel-to-reel players and thus produce this noise?34 Perhaps it is an error made by the person who recorded Mac Low’s performance on behalf of the SGWU Reading Series. Maybe this strange bleep is simply an effect of the magnetic tape reel’s decomposition during the 40 years it remained in storage at Concordia University’s Audio-Visual Department. Or does the sound emerge from some error in the magnetic tape’s transfer into an MP3 digital format? All of these activities and all of these actors in their various times and locations need to be factored in – or acknowledged as impossible to know – when considering Mac Low’s overall performance. Mac Low has designed their participation, whether intentional or accidental, into the systems of these poems. “What happens when the archive is literally transformed into a scene of performance and noise?” Kate Eichhorn asks in pursuing a poetics of archiving sound.35 How might one curate an archive of sounds in a way that addresses or somehow incorporates the evanescent dimensions of the sounds themselves and the performances or events from which they emerge? Mac Low – with his personal archive of audiotapes that document his performances, and his explorations of how others can relate and contribute further to the various trajectories of phonotexts and performances – offers an exceptional response to Eichhorn’s inquiry. As Eichhorn writes, “Sound is always coming undone, and so too is sound’s archive.”36 Mac Low sees this undoing as a positive, if not necessary, aspect of poiesis. For Mac Low, this undoing is one way out of “the little red schoolhouse” of the poet’s mouth, a way to not produce what Lyn Hejinian has called “an isolated autonomous rarefied aesthetic object.” To move away from this object and its reproduction, Mac Low cultivates a practice in which “aesthetic discovery is congruent with social discovery” and “new ways of thinking (new relationships among the components of thought) make new ways of being possible.”37 Here, I am intentionally blending the entities of “archive” and “poem,” as, for Mac Low, the former is emergent from the latter: the former part of the production of the latter, the latter reshaping the former. Both accumulate, and in their accumulation are rendered different. If, following Foucault, the archive is first the law of what can be said,”38 Mac Low’s compositions are systematic attempts to revise the archive – its “accumulated existence”39 – by means of the poem, therefore expanding what is possible, what is enunciable, in both. Earlier, I had very strict rules governed by chance operations and so on in reading these simultaneous works, and more and more I came to the, well, I always had the principle of the most important things was to listen hard to everything that was happening, including whatever was happening in the room, whatever’s happening outside and so on, but more and more I relied on the readers to judge when to come in and perform. Mac Low begins the poem: “The wind blows. The rain falls. The snow falls. The streams flow. The rivers flow.” Then a second voice joins in: “The mosses spore.” Mac Low responds: “The oceans rise. The oceans fall.” At once a number of voices enter. “The birds eat.” “The stars shine.” “The animals breathe.” “The flowers cross-fertilize.” The voices register at different distances from the recording machine. It sounds as though the performers are dispersed through the room, thus creating a surround-sound effect. “The trees grow. The plants grow.” “The fishes eat.” “The funguses spore.” By the occasional thunking of machine buttons and the slightly tinnish quality to some of the voices, one can hear that at least a few of the voices emanate from Mac Low’s reel-to-reel players. “The insects are hatched. The reptiles are hatched. The mammals are born. The birds are hatched.” Sentences repeat, though they are spoken by different voices. “The mosses spore.” “The stars shine.” Entire life cycles take place in the poem. They are articulated at different times by voices that overlap and echo one another. “The insects eat.” “The people travel on water by boats and ships.” Creatures are born; they breathe and eat and grow; they move their bodies and travel across great distances; they interact and mate; they die. “The animals eat.” “The rivers die.” “The lichens grow. The flowers grow. The trees grow.” The sentences are uttered loudly; they are whispered; they are shouted; the syllables uttered are staccato or a single phoneme is held over a duration; they are quickly run together one after the other. “The people crawl and swim and run and walk.” “The ferns turn toward the light. The plants turn toward the light.” “The planets shine.” “The people die.” “The trees sway in the wind.” “The earth turns.” Mac Low completes his reading with an assemblage of sounds, an indeterminate and polyvocalic inventory of simultaneous processes – biological, cultural, cosmological. As opposed to a methodology that relies solely upon the text or score for performance, a phonocritical approach to the polyvalent or pluriform work provides a way to more comprehensively engage with the simultaneous processes involved in Mac Low’s poetic practice. It is a critical practice Mac Low himself exemplifies throughout this performance. His phonocritical approach does not limit itself only to the phonotextual object, but attends to the network of material and embodied interactions in which the phonotext plays a part. It adopts a plenitude of techniques to more thoroughly engage with what is inscribed upon the recording, the various social and aesthetic layers of an inscription, while figuring in the cultural techniques and contexts of the apparatuses that have enabled an inscription’s transmission and storage over time. With these techniques, one can investigate how each sound or combination of sounds recorded on the phonotextual object performs, uniquely and as textures. Mac Low acknowledges the existence of the various materials and actors that are part of a performance – the texts, phonotexts, technologies that play and record during performance, the performers, the audience, the site and context of the performance; he considers them collaborators. Mac Low demonstrates a certain responsibility to the various materials and actors: he takes great care to detail the particular structure of a work, its methods or instructions, its actors, and the contexts out of which the work emerges and is fugitive. These materials and actors do not converge in some abstract or idealized space, nor are they made transparent as part of the spectacle of performance. Again, he insists on the social space of the reading for this activity of listening and relating. This activity is not discrete from the performed work, but is a significant aspect of it. Traces of those listenings and responses then accumulate as part of the overall work, and are archived within it to be resounded in its continued performance. In these simultaneous processes of the poem, Mac Low enacts a phonopoetics in which the figure of the poet is not an individual speaker who utters forth, but one amid a multitude who listens, and responds. The author thanks Kay Dickinson and Jonathan Sterne for their comments on early versions of this essay, and Nathan Brown and Heather Davis for their comments during revisions.